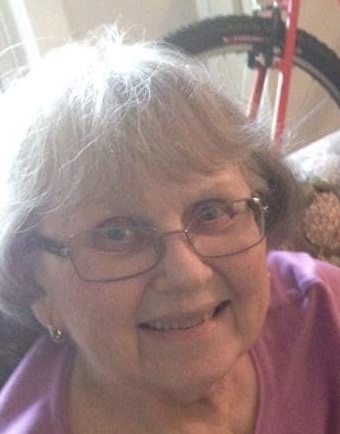 Nellie A. Stonkus, 88, passed away peacefully into the presence of her Savior on November 16, 2018, at Sunrise, at Silas Burke House Assisted Living in Burke, Virginia. She was the beloved wife of the late Zenonas Stonkus of Hamilton Ontario, Canada. Nellie was born on July 11, 1930, in Waterbury, daughter of the late Ignas and Nellie Norkus. She graduated from Wilby High School in 1948, and was employed by Waterbury Hospital Psychiatric Services for 30 years. She will fondly be remembered for her love of crossword puzzles, particularly the Washington Post daily puzzle. Nellie is survived by her daughter, Diane (Dumcius) Boucher and her husband Dennis, of Burke, Virginia; her grandchildren, Colleen Boucher, Patrick Boucher, Gintas Dumcius, Mantas Dumcius, Chelsea Merchant, and Samuel Boucher; and her 7 great grandchildren, Charlie, Gabe, Jonah, Cora, June, Eamon and Maggie. Nellie is predeceased by her first husband, Kestutis Dumcius, her sister Julia Norkus, and her son, Algirdas Dumcius. A Mass of Christian Burial will take place at 10 AM, Thursday, November 29, 2018 at St. Joseph’s Church/Parish of St. Blase, 46 Congress Avenue, Waterbury Connecticut. Burial to follow at Evergreen Cemetery, 183 North Street in Watertown, Connecticut. Everyone is asked to meet directly at the church.